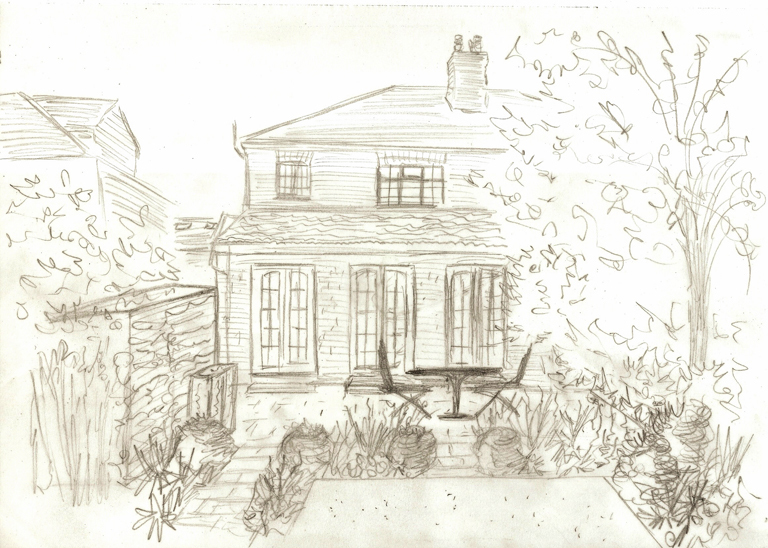 I thought you might like to see the concept design and sketches I have put together for a client in Twickenham. I have known Rob for a long time because we used to work together in the City. In the last couple of years, he has set up Herbi4 pottery with sculptor and friend, Jon Barrett-Danes, so when they were exhibiting at the Chelsea Flower show this year he asked if I could help him and his wife, Sarah, redesign their garden. As you can see, it’s a fairly small garden and pretty much a blank canvass at the moment. 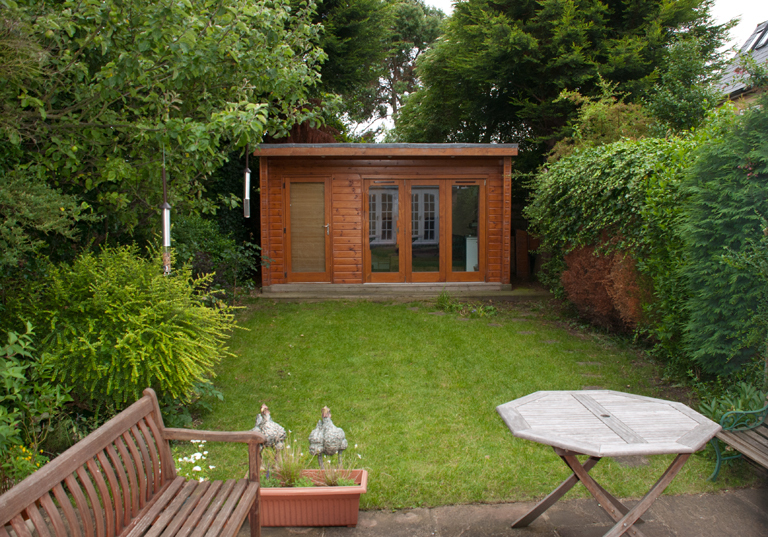 The main focal point from the house is the office building at the end of the garden and they would really like some help to make this look more attractive as well as creating a more usable sitting area outside the french doors. At the moment it’s not deep enough to properly accommodate a table and chairs. We have also extended the terrace a little to allow more space when they are sitting around their table. 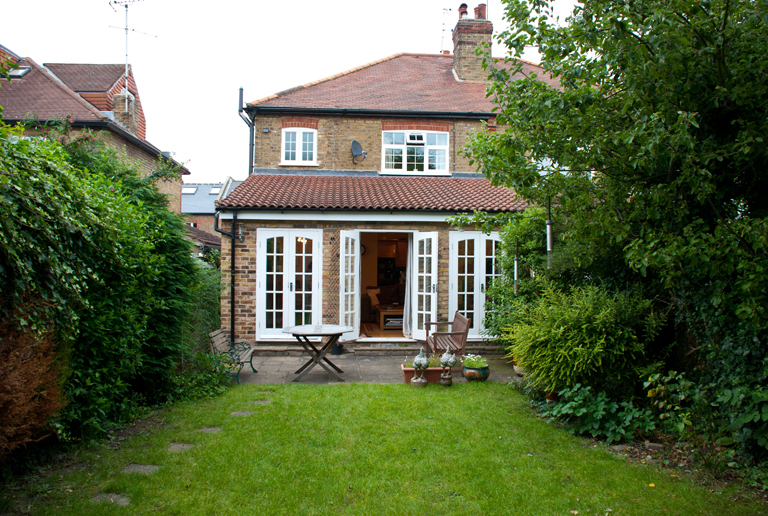 Separating the lawn from the terrace with planting will help to soften the overall look and feel of the space. The new shed will be screened with planting. The lawn will eventually be quite small, but Rob and Sarah were both keen to keep some. 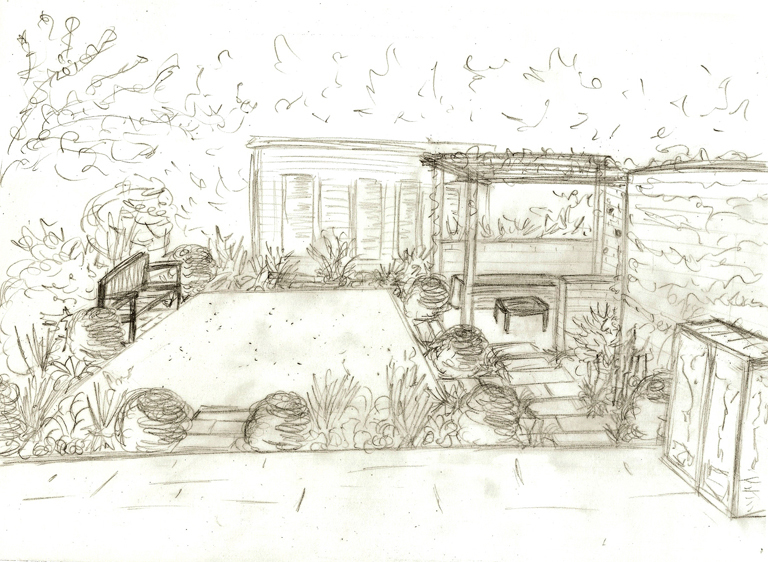 I’m now in the process of working through the design for the covered seating area. 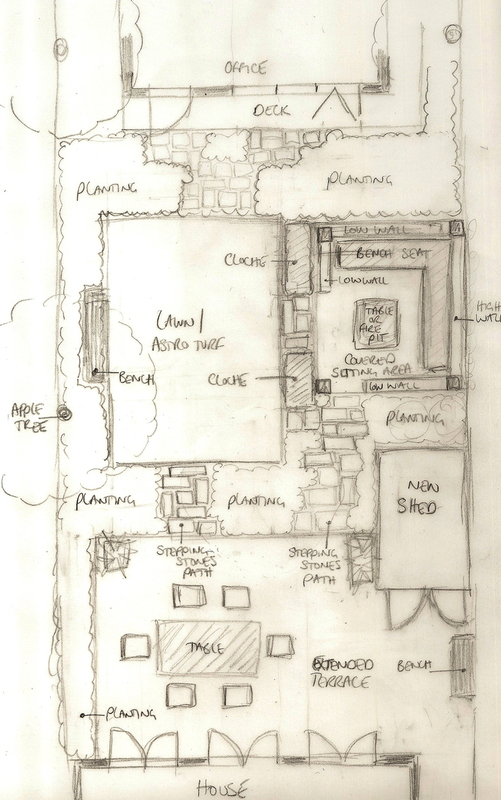 The walls are now likely to be timber, inspired by the scaffold board walls in the Low Cost, High Impact garden at Hampton Court this year Our First Home, Our First Garden. We have also discussed an integral fire pit which could be doubled up as a table. I look forward to sharing the photos of this one when the build is in progress and, of course, when it’s finished and planted.